It is customary for Google to make major announcements through official blog posts. Whether it is about managing Google traffic statistics, streamlining keyword research or avoiding the pitfalls of duplicate content, Google communicates entirely through the blogosphere. 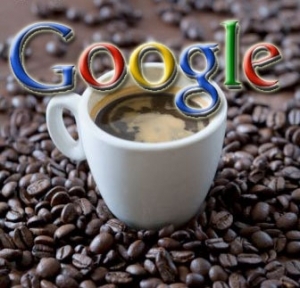 Google Caffeine is certainly no exception.In August 2009, Google revealed through an official blog post that it was getting ready to commence research on the next generation of search technologies dubbed with the codeword Caffeine. The reason why Google did not spill the beans about Google Caffeine at that time was simply because Google did not have any beans to spill. The concept was only on the anvil and at a rather preliminary stage. A few months have passed since then and although the fundamentals pertaining to the experiment are not fully formulated, we know enough to be able to judge the direction in which the experiment seems to be heading. As is evident from the direct quote above, the primary, and in all probability, the secondary emphasis in Google Caffeine will be on innovation combined with improved search architecture. Google recognizes, like all of us do, that technology has progressed on multiple fronts in an explosive fashion ever since the first time Google search technologies were conceived, tested and implemented almost a decade ago. Google now wants to integrate, as seamlessly as possible, just about every new facet of search technology that can be leveraged to its benefit. Google Caffeine is all about harnessing these complex and often diverse technologies so that the search engine major can provide its users with a near-perfect search experience resulting in increased Google traffic for millions of websites. Several Googlers, Matt Cutts included, have indicated that Google’s attempt to solidify its position in the real time search engine space will result in changes that will occur purely “under the cover” or “under the hood” meaning that users will not notice anything significantly different on the surface in terms of the search engine results pages (SERPs) Google will generate. At the end of the day, the goal is to provide those Internet surfers who visit Google’s main website and all its regional search websites with the type and quality of results they expect to receive from a company like Google. End result? Near instant indexing of content posted on the web, improved relevance and a much wider span of indexable web pages—milestones that are fully in line with Google’s user mandate. let us first tell you what Google Squared is not.Google Squared has very little, if anything, to do with square routes and mathematical equations at least at the front end. The back end is sure to be a different story since many of Google’s search algorithms are based on complex mathematical calculations that are considered proprietary by Google. Google Squared is best described as a mini search engine to be used when you need results in a nutshell very quickly presented to you in a graphical and tabular layout. Search results, although highly accurate, are presented in a compressed manner without an option of viewing cache or displaying complex snippet data. Your search results will often include images along with the source of the information. There are other search tools such as Zahdoo.com, Wolfram|Alpha.com and noodlesquares.com which are essentially variations on a similar theme. Google’s tool has both the corporate as well as the research advantage to support it. You should experiment with all the tools we have listed to enjoy the various flavors of performance. Unusual Branding with Powerful Features If you have heard of Google’s feature rich service called Google Zeitgeist which attempts to open a window into the future,you are among a lucky few because Google Zeitgeist hasn’t received the press it truly deserves. In German, the word Zeit means time and Geist means spirit. That would translate to the �?spirit of the times’, �?the spirit of the age’ or even �?world view’. What Google does as a part of this free service is to collate patterns of searches on its flagship search engine and come up with the most popular search terms and phrases for the year. For example, in 2008, the word �?Obama’ figures prominently in the top ten things searched on Google. You can enter up to five search terms to view their relative popularity over a time period. This provides an idea of a broad trend of searches with respect to these search terms. You can type in a website address and get traffic details for that site. See how site visitors classified by region and by related sites visited that site. This is an excellent tool for competition analysis and also provides valuable trends data at the same time. This is specially useful for marketers. 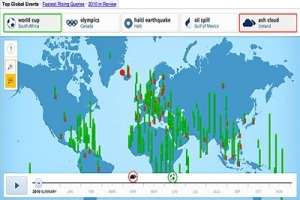 For example, you can get data across regions, time zones, topic or other parameters that you may specify. You can make lists of the “most popular” and “fastest rising” search variables to arrive at a clear understanding of where your business is heading. This option catalogs the 100 fastest rising search queries on Google. This data is available currently only for the US. However, it is updated throughout the day. 1 It is a new age product. Even its archives are available for browsing, only from 2001 onwards. 2 Each year’s information is available on a monthly basis as well. 3 It also provides results based on searches that feature images, books and other Google search engines. 4 It is possible to access the Zeitgeist repository by country, so you can get to know what was on top of the mind of people in a specific country. 5 It is divided into broad categories such as country home, top of mind, politics, trendsetter, showbiz, sports and around the world. 6 It allows you to enter terms to check for their general popularity. For example, in 2008, �?slowdown’, sub prime’, and �?credit’ were amongst the most common search terms. 7 Trendsetters are not necessarily people but also products or processes. For example, the hybrid fuel based car. So if you search for trendsetters it would return “hybrid fuel based car.” This feature can help you to spot trends early and thus stay ahead of your competition. 1 Marketers can better understand the purchasing rationale of people in countries and regions. 2 It is a wonderful way of comparing yourself to what others on the Internet are thinking and searching. 3 Trendsetters would again tell others the direction in which people are moving. 4 Zeitgeist archives can update you of recent search patterns very accurately. It is a tool of great value to social scientists. 5 You can see what people in other countries are thinking of and compare it with people in your own country. some research on Google Zeitgeist and surprise friends in other countries. Google Zeitgeist is one research tool you should have in your SEO and SEM toolkit to generate qualified and targeted traffic to your website. As is evident here, the data that Google Zeitgeist contains is worth its weight in gold provided that you use it intelligently to tweak your website and learn how to respond to emerging trends. Zeitgeist is essentially a brighter shade of keyword research with huge potential. Use it to plan your online strategy and predict customer behavior through trends analysis. Google News was launched in 2002 as a part of Google’s overall initiative to serve the global community with objectively sourced information. It does not require you to register for its services because a link from Google’s home page can take you there directly. It is a news aggregator that is totally automated much like an auto pilot service on the Internet or an auto responder.It gathers news from websites with a high trust and authority factor that it has allowed into its directory as well as from sources like Associated Press (AP), Reuters and other traditional news agencies from which it acquires content. 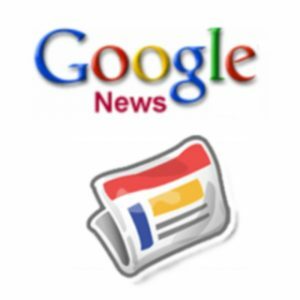 Besides English, Google News is available in a number of other languages like Chinese and Hungarian. It provides region specific news as well and can be easily customized according to your news preferences. Simply set it for your own country and read the news from your community and region in real time. Google presents its news feed with a clearly marked time line which helps you to determine how recently a news event occurred. This enables you to get context specific news which you can customize. Configure your RSS feed reader to cull relevant news items of your choice using Google’s News syndicators. You can receive email alerts for news categories that you flag. To achieve this, you should use Google Alerts and drive results to your inbox. Using the text only attribute not only helps the page to load faster into your browser but also provides a relatively clean interface ideal for quick reading and scanning. It is also screen reader friendly in terms of accessibility. This means that you could read through a whole lot of content in comparatively less time. You can also configure the front page as an image that would allow you a rapid view of the main stories. The front page contains an abstract of an article and a link to the main article. The main article could be a paid website in certain cases, but that is clearly indicated by Google News. Front page articles would be at best a month old, usually less, just a day or a few days old. Google News provides an archive service which dates back two hundred years. Besides searching for particular news items, you can look up news items in a particular year. You can customize a Google News page by dropping items or including some. For example, you could drop all stories from the Sports category, or you could add a new section. This custom built page is stored as a URL which can be sent to others. Set up a Gmail mail account in order to use this feature. Good luck with your Google News escapades! Google Scholar is perhaps the most distinguished contribution to the global academic community from Google. Before we tell you how you can use Google Scholar to generate targeted website traffic on your website and create a real buzz, let us take a moment to tell you what Google Scholar is and how it really works. In late 2004, Google launched a beta version of Google Scholar. It provides you with a single source for academic information and allows you to search for peer-reviewed papers, research reports, literature reviews and much more. Google Scholar has digitized a large number of academic and professional journals and arranges results by taking into account the number of times that the item has been cited in scholarly literature, and other criteria. The service is equipped with a unique and proprietary ranking process and sophisticated crawling techniques. Access to published materials can help you to benefit from a colossal repository of knowledge and rich scholarship. Many of the journal articles which appear in the results link directly to online versions of these articles. You can access these scholarly publications immediately online in their entirety. An example of a vertical search engine is a chemical engineering search engine which searches for information on that domain, this would be quite different from a biology search engine that presents search results and reliable information in its specific domain. Vertical search engines have a clearly defined focus and are excellent at generating highly relevant results because only relevant sources are indexed through their search matrix. Google Scholar is one such example. If you do not happen to be an academic scholar confident of submitting an article in a peer reviewed journal, the next best thing to do is to write to experts in your niche who feature in Google Scholar search results and ask them to write about your company, your niche or your USP. A link from one of these articles is worth a thousand links from garden variety search engine directories. Write to these experts in the same way in which you write to trustworthy websites for link exchange. We recommend that you consider this as an ongoing process and integrate this strategy with your link building exercise. The results will simply amaze you.